211 Bernard: John Porcellino in store this Tuesday! John Porcellino in store this Tuesday! 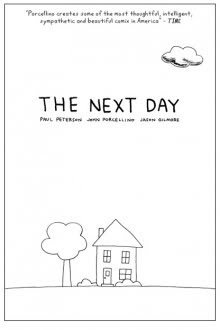 Indie comics pioneer John Porcellino (King-Cat Comics, Map of My Heart) will be appearing along with the entire creative team behind The Next Day graphic novella at the book’s Montreal launch this Tuesday (May 10) at 7pm! This book launch will also include an advance look at the forthcoming interactive animated web documentary, which was developed simultaneously with the NFB (ONF) in association with TVO as part of the Calling Card Program. More information is available at thenextday.ca.